The Fast5 Netball World Series saw netball take a successful walk on the wild side, with more than 1.4 million* viewers tuning in at some stage to the live television broadcast on 9GEM and more than 11,500 boisterous fans enjoying the action live in Melbourne. It was the first time the innovative five-a-side game was hosted in Australia, and the first netball product produced and televised via the Nine Network. Fans were treated to 18 games of Fast5 netball across the weekend, in addition to a Celebrity Match that saw the likes of Billy Brownless, Tim Gilbert, Erin Molan and Livinia Nixon take to the court in what was described as an enthusiastic but messy performance. The Fast5 Netball World Series was the highest rating program on Free-to-Air between 1.30pm-3pm yesterday across the five capital cities. 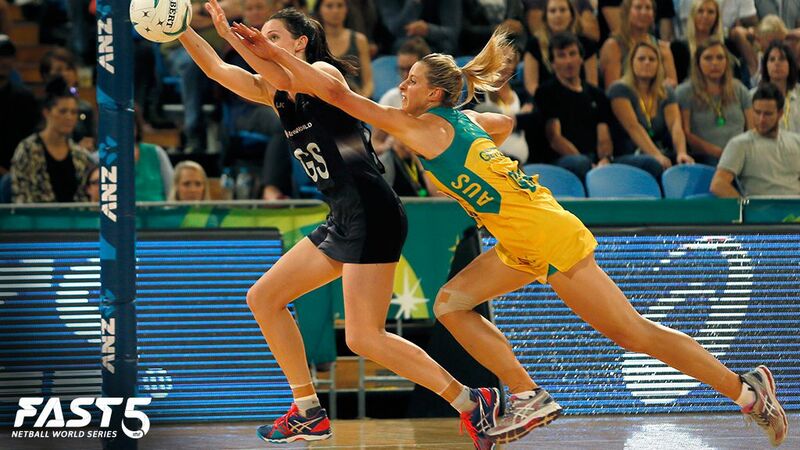 “The Fast5 Netball World Series was the first netball broadcast for Wide World of Sports and we couldn’t have asked for a better event to kick off with,” said Nine’s Head of Netball, Keeley Devery. The Fast5 Netball World Series and Netball Australia Twitter accounts had 687,526 impressions across the weekend tournament, and the event hashtag #Fast5WorldSeries trended across Australia and New Zealand. On Facebook, 1,386,484 impressions were made through official channels. In stadium, fans cheered on their favourite teams in brightly coloured, whacky costumes. They were kept entertained throughout the weekend with dance cams, costume competitions, quizzes and commentary from netball legends including Irene Van Dyk and Cath Cox. "We knew the Fast5 would be a fabulous event for Victoria and it was. It was a big boost to our economy and a chance for budding netballers to see the stars of the game in their own backyard,” said Acting Minister for Tourism and Major Events, the Hon Philip Dalidakis. "We can&apos;t wait to welcome the best of the best back to the major events capital for the next two years." With the impressive turnout this year, Netball Australia is looking forward to the fans enjoying another world-class sporting product when the Fast5 Netball World Series returns to Melbourne Friday 27 – Sunday 29 October, 2017. “Our inaugural Fast5 Netball World Series was an overwhelming success,” said Netball Australia Chief Executive Officer, Kate Palmer. “This innovative format of our game has thrilled existing and new netball fans, and will continue to grow.